No. You can only add deals to Merchants (contact type who are merchants). However, there is a Deals tab for contact types who are FUNDERS (see below). 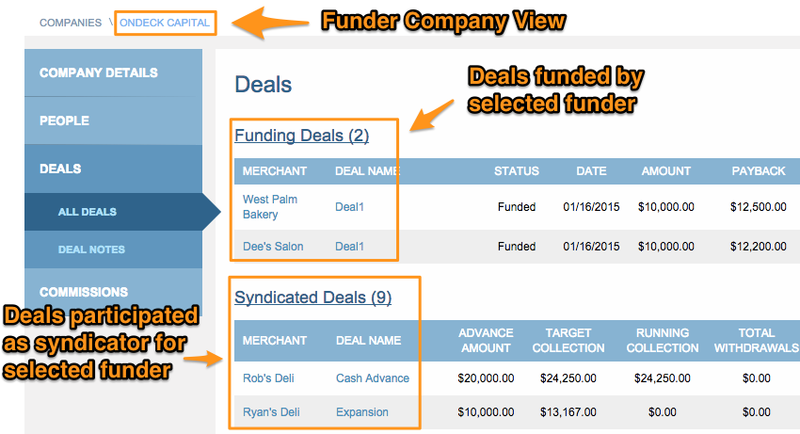 The Deals tab for Funder Companies contact type represents all the deals the selected Funder (OnDeck) has funded or participated in as a syndication partner. Similar to Funders, Broker contact types also has a "Deals" tab where it displays all the leads and/or deals that was brought in by the selected Broker contact.